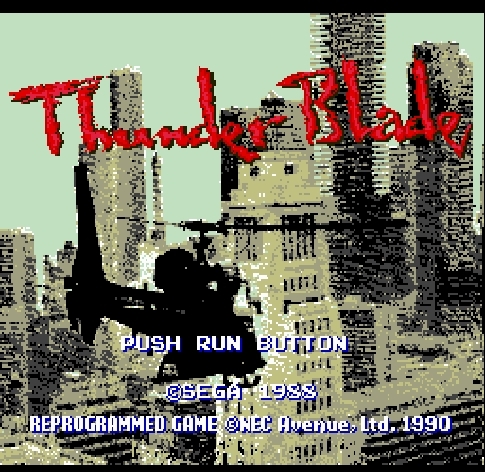 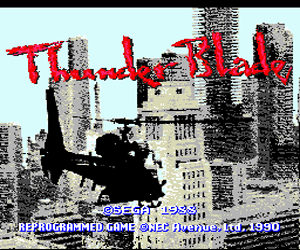 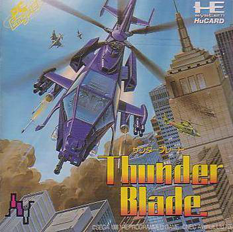 Thunder Blade is a helicopter themed shooter developed by Sega that's half top down shoot em up and half third person shoot em up. 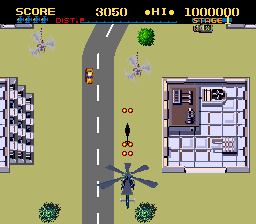 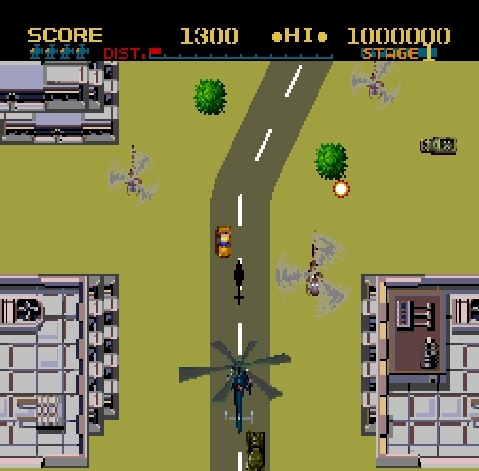 The game was originally released in arcades in 1987 with impressive graphics that weren't possible to reproduce on consoles. 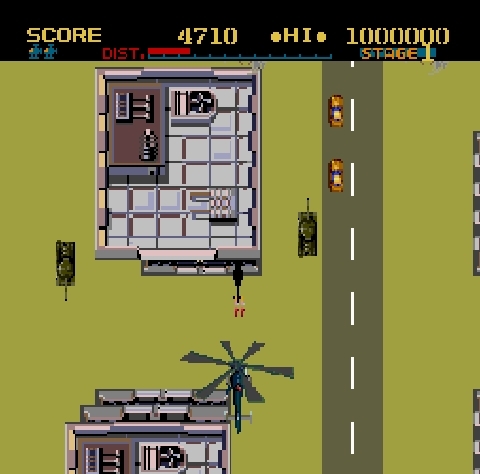 However, the game itself still plays the same. 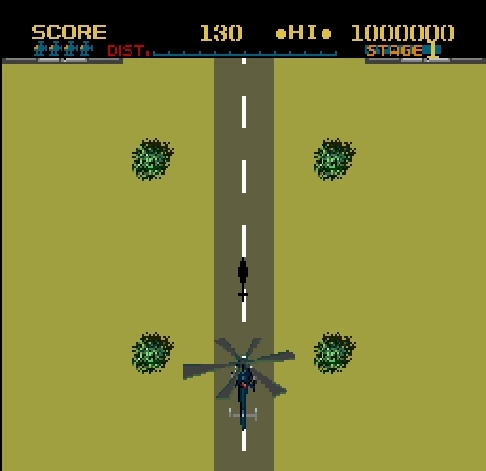 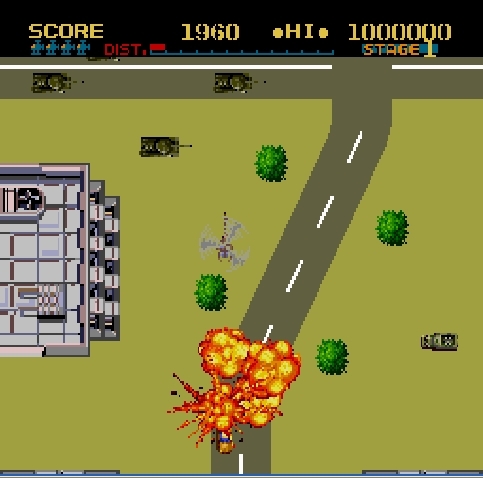 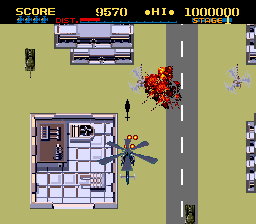 Players shoot down other aircraft while using bombs to destroy tanks firing from the ground giving the game two layers of enemies that must be attacked through two different means. 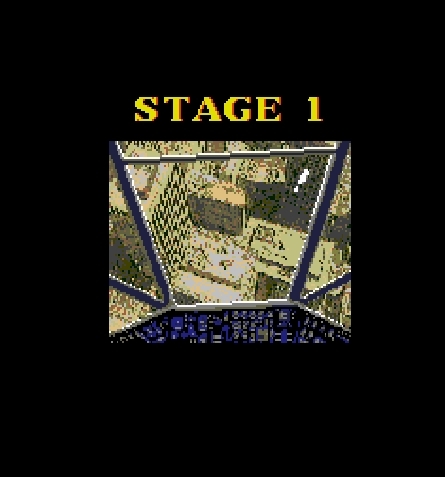 The third person sections also occur as seamless transitions all part of the same stage. 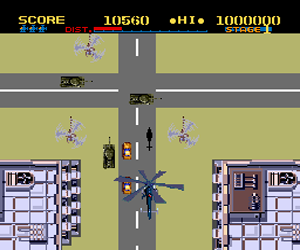 There are slight environmental hazards in the form of tall structures the player must avoid crashing into and the game does not have any power ups like most shoot em ups at the time. 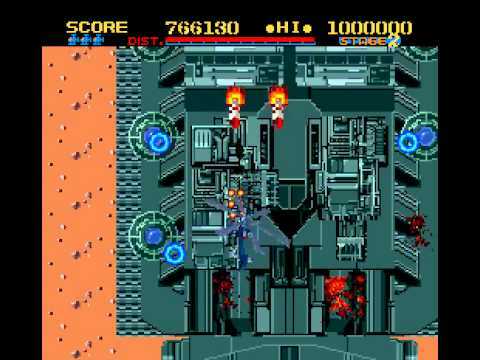 While not as graphically impressive as the arcade original, Thunder Blade is a standout among many shoot em ups on the PC Engine for its more realistic setting and shifting perspectives.